Play Solitaire online for free now! Classic Solitaire is among the most popular card games on the planet for good reason. It is based on the legendary card classic Patience, which is said to have been played regularly by none other than Napoleon Bonaparte 👑. With the advent of the home computer, Patience/Solitaire reached an even greater audience, for it was often included as a minigame in operating systems, such as FreeCell in Windows 95. Today, the qualities of Solitaire are enjoyed globally online. It’s played as a browser game, on mobiles (apps for Android and iOS) and on tablets – always with the goal of having fun, beating your own high score or just relaxing. Here you can find out more about the version of Solitaire available on GameTwist, as well as similar games that you can find in our Skill Games section. Solitaire, also known as Patience, is originally from France, and it is one of the most popular card games worldwide. You can play Solitaire to pass the time, as a form of meditation and as an exercise to train forethought. There are many different varieties of the game; our variant is played as a duel against an opponent. The aim of the game is to build up four piles of cards – one for each suit in ascending order – with the 52 cards. To achieve this, you can move the cards around until you have the chance to lay them one by one on the suit piles. While you’re playing, you must try to clock up as many plus points and as few minus points as possible. Remain focused on your game technique in Solitaire to give yourself the best chance of completing the four suit piles! Get gaming, clean up the cards and collect those points! Our Solitaire card game has been one of the most popular games we offer for years. What makes our GameTwist variant so special and fun is that every round online can be played against real opponents – there’s no shortage of players to take on. 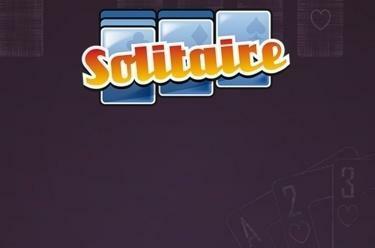 And unlike shooters and similar games, Solitaire is all about good old gaming fun! Solitaire = FAIR online gaming: Twist stakes are converted into Skill Coins, which have different values for players of different levels. That makes the stakes affordable for everyone. Training mode is ideal for getting to know Classic Solitaire without having to keep looking at the game description. Fans of other classic games such as Pool, Chess and Backgammon also have the chance to hone their skills. Plus, there are hundreds of top slots from leading producer Novoline! Take your pick now and get gaming. If you love the satisfaction of arranging cards in the right order and suit, Solitaire is right up your street! We hope that you have fun playing Solitaire and land big Twist winnings as you show off your card skills 😍!